Chocolat Mathez combines its know-how with the latest trends with its Vegan truffle! 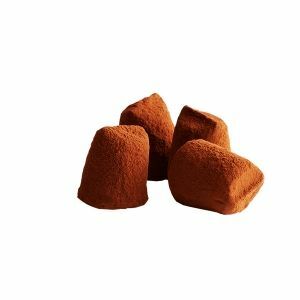 To satisfy the taste buds of committed gourmets, Chocolat Mathez is committed and offers a truffle without ingredients from animals or their farms. Just as delicious, the Vegan truffle has been developed by our R&D department in order to preserve the identity of the Mathez truffle: the melting and good taste of cocoa. To be enjoyed, without moderation!